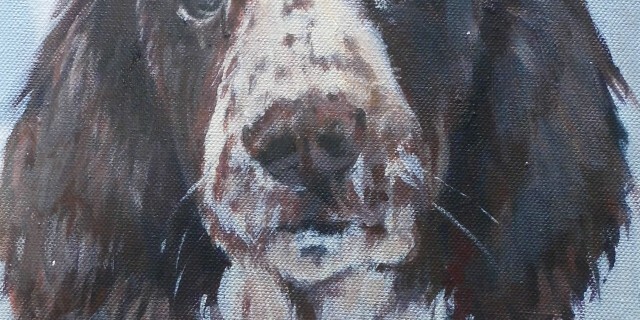 Terrier Portrait. 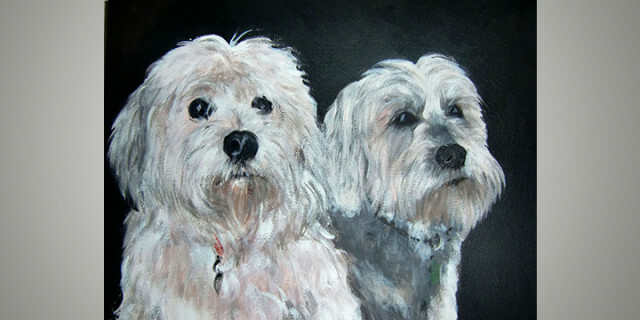 This is a pet portrait of a gorgeous Dandie Dimont terrier. 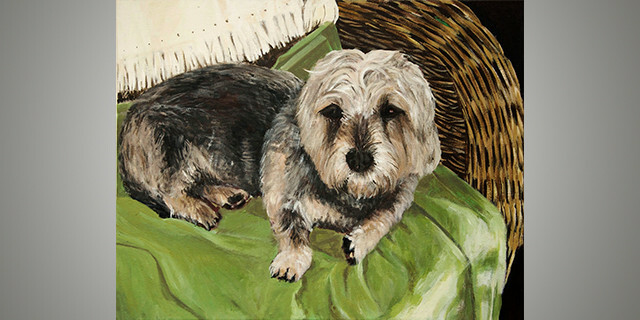 He looked so cosy lying on his green blanket with the curve of the woven chair behind him that I decided to include the background in the painting. 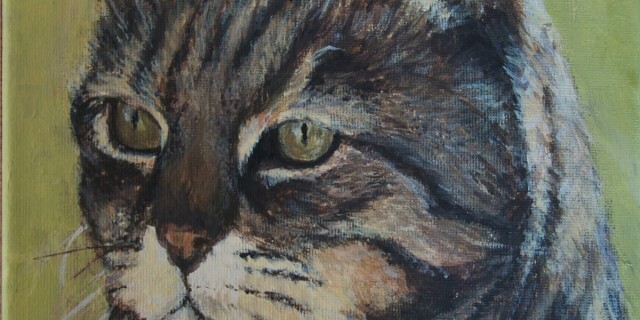 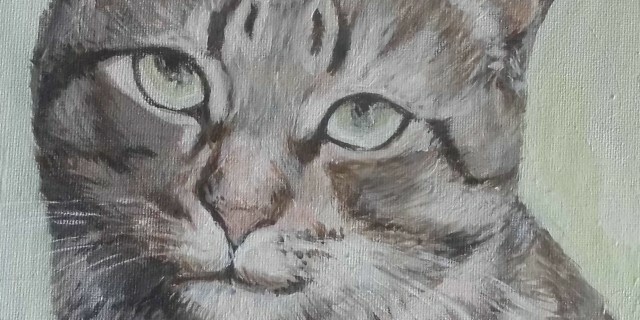 Pet portrait, acrylic on canvas.